Can you find me the stratas accommodating electric cars Vancouver? Our team has been tasked with finding a 2 bedroom townhouse that will allow the charging of a large electric vehicle. A Tesla SUV to be exact. As it turns out, this is no easy task! But we see this area of the market growing in the future – as the world mentality shifts towards the cognizance of climate change, the city mandates greener living, and electric cars become more readily available to the masses. And thus I intend to make a running list of all the stratas that accommodate electric cars. Some newer stratas – from the last 5 years or so – may have a shared charging station in the parkade where users can hook in if there is space. This is cumbersome for a number of reasons to both the user and the strata as a whole. Who maintains it? How do people pay for it? What if there isn’t space when I need it? This is ultimately why our buyer is looking for a private charger to be installed into his own parking spot. Now this is a very new idea that stratas are not altogether comfortable with…yet. You can have the private electric vehicle charger installed for $2000 – $5000 depending on the circumstances – electric panel location, electricity requirements for the car, grid availability etc. But this must be hardwired into your personal townhouse electric grid, so that only you are charged for it’s use, which can be difficult. Townhomes with directly attached parking stalls that can be modified to harness the electricity of the townhome interior – are tough to find. The strata may agree to allow the installation of a charger attached to the common electric grid – but then you must pay the strata a monthly usage fee. I have heard of a strata charging $50/month, when in truth it should cost only about $15/month. Stratas are ultimately shutting down these requests to modify parkades in most cases, as it’s just too foreign a concept, with too many variable problems. If they will consider the proposal, they will ask for quotes detailing the work, and an assumption of liability form to be signed – which is similar to the process of renovating a condo in accordance with the stratas approval. I explored the pre sale route – assuming brand new Olympic Village stratas would accommodate electric car charging. But again, I got a wishy-washy doubtful answer from the sales reps. The developer may assign the buyer a parking space that could be modified to suit the EV needs, but this could not be verified prior to writing up an offer and giving them a deposit. Ouch. So far, here is my list of stratas that have already gone over thus hurdle with some success. The Foundry at 1833 Crowe – just passing new bylaws now for the installation of a 4 car electric vehicle charging station. Legacy at 6333 Larkin – Has 2 electric vehicle car chargers in their visitor parking. 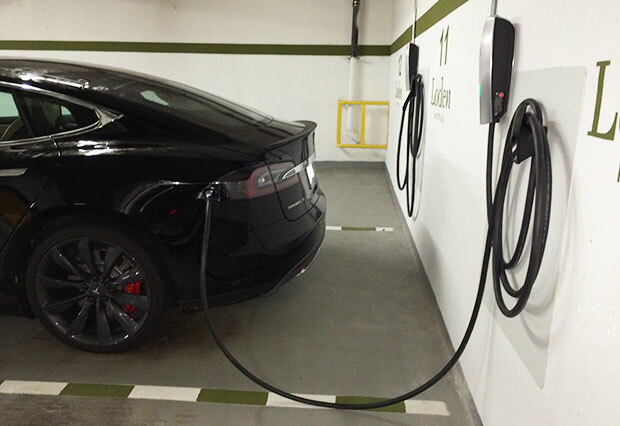 Harwood Court at 1285 Harwood – Has 3 exclusive electric car chargers in owner’s stalls – the precedent for more is here! Omega CityHomes at 638 West 7th – Has 1 exclusive charger for an owner. 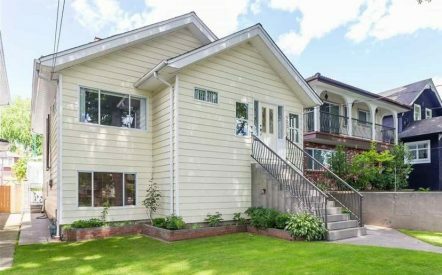 The Laurier House at 4750 Arbutus – Has 2 exclusive chargers. 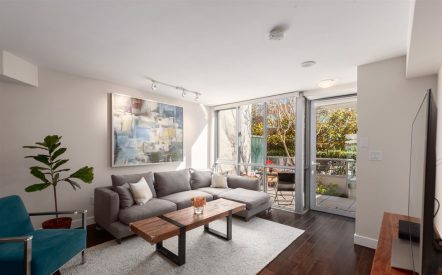 Vancouver CoHousing at 1733 East 33rd – A newly built co-op that has 6 chargers in visitor parking and 2 exclusives installed – now these guys were thinking! Parkview Tower #1 at 4769 Hazel Street in Burnaby – 2 chargers in visitor parking and 2 in exclusive stalls. Discovery Place 2 at 3970 Carrigan Court in Burnaby – 4 common chargers in visitor parking. Orizon on Third at 221 3rd Street East in North Vancouver – 2 in the visitor parking. You want some help finding a strata that will do this for you – call me!